From autonomous vehicles to self-tuned databases, Artificial intelligence (AI) and Machine learning (ML) are found everywhere. Industry analysts often refer to AI-driven automation as the job killer. Almost every domain and industry are getting impacted by AI and ML. Big companies are massively investing in AI research and shipping new tools and frameworks at a rapid pace. All these factors have put an average developer under pressure to acquire machine learning skills. There is a sudden rush to learn the tools and technologies related to ML. The number of self-paced courses and MOOCs has doubled in 2017. In emerging markets like India, there are many technical training institutes promising to transform programmers into data scientists. Let's find out what are AI and ML? Why is it so much important to learn? One of the most popular definitions of machine learning was given by Arthur Samuel in 1959, which considered it a subfield of Computer Science that gives “computers the ability to learn without being explicitly programmed.” This is apt but shouldn’t be taken to mean ML systems are built without any programming effort, or that they acquire knowledge on their own from scratch. Instead, ML systems are made to build upon already acquired knowledge. This makes them perform way better than programs built with hardcoded rules. Artificial intelligence, an application of Machine learning, is intelligence demonstrated by machines, in contrast to the natural intelligence (NI) displayed by humans and other animals. In computer science, AI research is defined as the study of "intelligent agents" like any device that perceives its environment and takes actions that maximize its chance of successfully achieving its goals. Colloquially, the term "artificial intelligence" is applied when a machine mimics "cognitive" functions that humans associate with other human minds, such as "learning" and "problem-solving". Artificial intelligence was founded as an academic discipline in 1956, and in the years since has experienced several waves of optimism, followed by disappointment and the loss of funding, followed by new approaches, success, and renewed funding. Why should you learn AI and machine learning? The demand for machine learning is booming all over the world. Entry salaries start from $100k – $150k. Data scientists, software engineers, and business analysts all benefit by knowing machine learning. With every industry looking to apply AI in their domain, studying machine learning opens a world of opportunities to develop cutting-edge machine learning applications in various verticals – such as cybersecurity, image recognition, medicine, or face recognition. With several machine learning companies on the verge of hiring skilled ML engineers, it is becoming the brain behind business intelligence. Machine learning algorithms have become the darlings of business and consumers so if you want to put yourselves somewhere in the upper echelon of software engineers then this is the best time to learn ML. Data is transforming everything we do. All organizations, from startups to tech giants to Fortune 500 corporations, are racing to harness their data. Big and small data will continue to reshape technology and business. This advanced technology has a unique blend of discovery, engineering, and business application that makes it one-of-a-kind. You’ll have a ton of fun with this rich and vibrant field. The projects come in all shapes and sizes. It's not based on averages and projects become something far more than averages. By cycling between theory, practice, and projects, you'll arrive at real results faster. This is a huge boost in morale. Build a foundation of statistics, programming, and a bit of math immerse yourself in the essential theory behind Machine Learning, use Machine Learning packages to practice the most essential topics, and dive deeper into interesting domains with larger projects. Your confusion will clear up once you start applying them in practice. Once you've had some practice applying algorithms from existing packages, you'll want to write a few from scratch. This will take your understanding to the next level and allow you to customize them in the future. Computing does not have any limitations on infrastructure nor a complex distributed computing architecture to design, implement, and monitor constantly. High-performance based computing power is available when you need it, even, for unnecessary projects. Machine learning and AI will teach you how to get real results using machine learning. It's taught by professionals who use ML on a daily basis, not by academics. It's not programmed, it is taught with data. The value you get from machine learning is a function of the quality of the data you feed it. As humans teach machine learning systems, you tend to transfer your own biases to them. Support Vector Machine (SVM) represents the newest advancement in Machine Learning theory and deliver state of the high performance in various high price applications. A kernel operate transforms the information set from original input house into a high dimensional feature house within which, the extremely nonlinear relationship between the attributes or factors are examined and qualified using the imagine maximization principle. This enables SVMs to resolves and uncovered extremely advanced relationship, and deliver state of the art performance. The intelligence in a neural network is just a long list of numbers. By exporting those numbers via, for instance, a memory stick to another "empty" neural network, you can transfer all the learning done by the first one. Because the intelligence is really just numbers and the architectures relatively simple, it is not true intelligence at all. Machine learning systems do not really understand. Means it's a one-way street. You can have a neural network recognize faces, but you cannot ask it to describe any of the faces it knows. If you teach a machine learning system two skills, it cannot combine them to create a third skill. There is no autonomy in machine learning systems. There are still lots of meaningful tasks where machine learning beats humans hands down. Machine learning becomes exponentially more powerful over time with the progress we make in computational power, gathering data and figuring out new learning algorithms. The revolution is underway but only just starting to gain speed. Machine learning appears as a shadow of data science. Machine learning career endows you with two hats, one is for a machine learning engineer job and the other is for a data scientist job. Becoming competent in both the fields makes an individual a hot commodity to most of the employers. 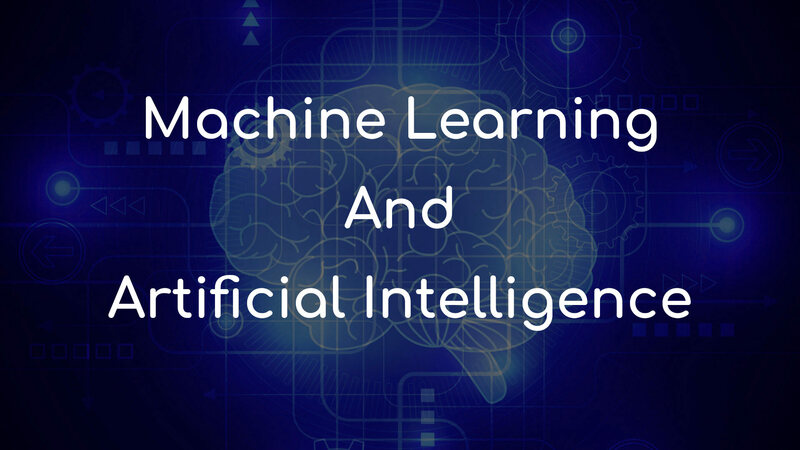 It means that you can analyze tons of data, extract value and glean insight from it, and later make use of that information to train a machine learning model to predict results. In many organizations, a machine learning engineer often partners with a data scientist for better synchronization of work products. Machine learning products are being used daily, perhaps without realizing it. The future of machine learning is already here, it’s just that machine learning career is exploding now because of smart algorithms being used everywhere from email to mobile apps to marketing campaigns. If you are in search of the most in-demand and most-exciting career domains, gearing up yourself with machine learning skills is a good move now. Artificial intelligence, machine learning is doing something that once seemed unthinkable. They are transforming heavily regulated industries, such as the “financial services and trading industry” or the “healthcare and life sciences industry”. Artificial intelligence takes the role of an experienced clinical assistant who helps doctors make faster and more reliable diagnoses. We already see AI applications in the areas of imaging and diagnostics and oncology. Machine learning has the potential to improve remote patient monitoring. AI algorithms are able to take information from electronic health records, prescriptions, insurance records and even wearable sensor devices to design a personalized treatment plan for patients. Peer-to-peer lending platforms that use algorithms and machine learning to assess the creditworthiness of borrowers. Smart innovators continue to attract record amounts of money usually means something big is happening. This is just another reason why we cannot ignore artificial intelligence in the financial industry. Artificial intelligent applications will only facilitate “peer-to-peer transactions and that have the potential to reduce the need for trained professionals. This technology can be used as "Robo-advisors" that have the potential to automate personal finance and wealth management. They can help individuals manage their personal accounts, debts, assets, and investments. The increasing acceleration of innovation will add to AI’s ability to adapt to new situations and solve problems that currently seem to be impossible. Big data and the near-endless amounts of information undoubtedly transformed AI to unprecedented levels. Blockchain technology and smart contracts will merely continue the trend. AI machines possess just enough memory or “experience” to make proper decisions and execute appropriate actions in specific situations or contexts. Self-driving cars, chatbots, or personal digital assistants are the most commonly used examples. AI has the capacity to understand thoughts and emotions which affect human behavior. Softbank Robotics “Pepper” can organize large amounts of data and information to have a “human-like” conversation. ML helps to find new energy sources, analyzing minerals in the ground, predicting refinery sensor failure, streamlining oil distribution to make it more efficient and cost-effective. The number of machine learning use cases for this industry is vast – and still expanding. Websites recommending items you might like based on previous purchases are using machine learning to analyze your buying history - and promote other items you'd be interested in. This ability to capture data, analyze it and use it to personalize a shopping experience (or implement a marketing campaign) is the future of retail. Analyzing data to identify patterns and trends is key to the transportation industry, which relies on making routes more efficient and predicting potential problems to increase profitability. The data analysis and modeling aspects of machine learning are important tools to delivery companies, public transportation, and other transportation organizations. Siri (Apple), Google Assistant (Alphabet), Cortana (Microsoft) and Alexa (Amazon) are currently ready to assist you with more and more difficult tasks. Artificial intelligence, machine learning is just the beginning of a revolution that will transform everyday life and how we interact with technology. Everything above is subject to change with such a transformational invention. This advanced technology is still in the development stage. The various technological and security issues surrounding these new technologies will soon be solved. And solutions will be accelerated by the development of other related technologies. We are an unfathomable distance away from creating a human type of intelligence. A transformational discovery is required for that to be even feasible.